Each year we make our annual pilgrimage north for the holidays. 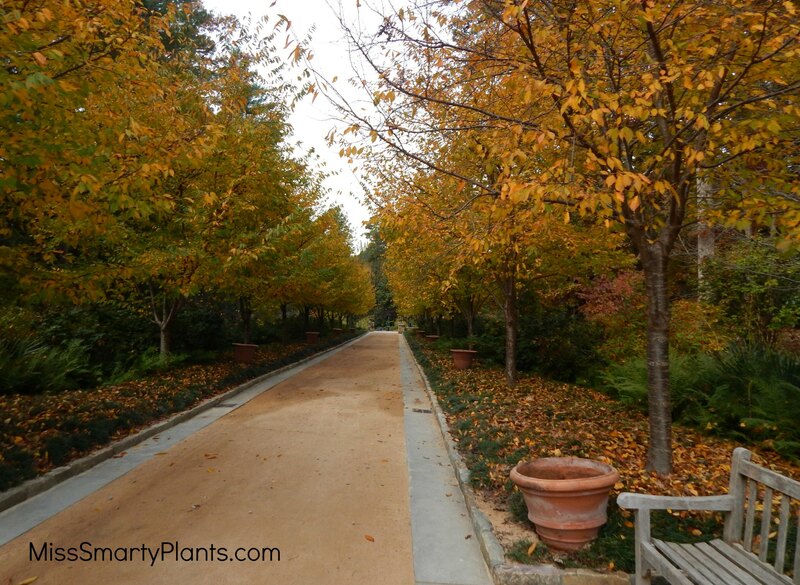 While I love to visit public gardens anywhere we visit, late fall doesn’t always tend to be the best time. Unless you are visiting Duke Gardens in fall. 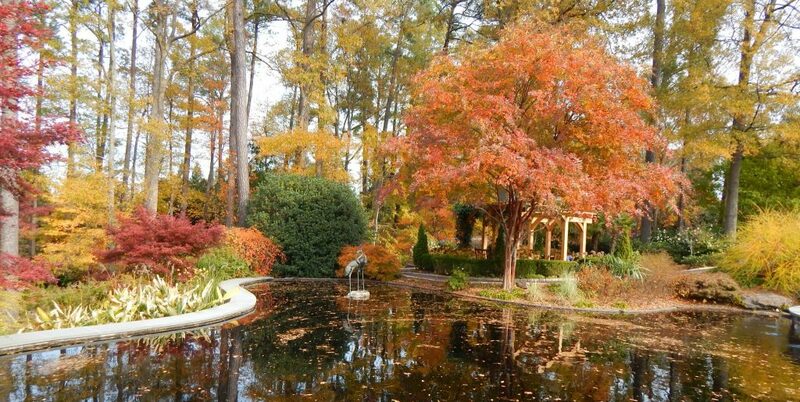 Sarah P. Duke Gardens is situated in the heart of the Duke campus. The stunning topography, stone work, plant combinations and quality of horticulture make this a must visit any time of year. But fall? 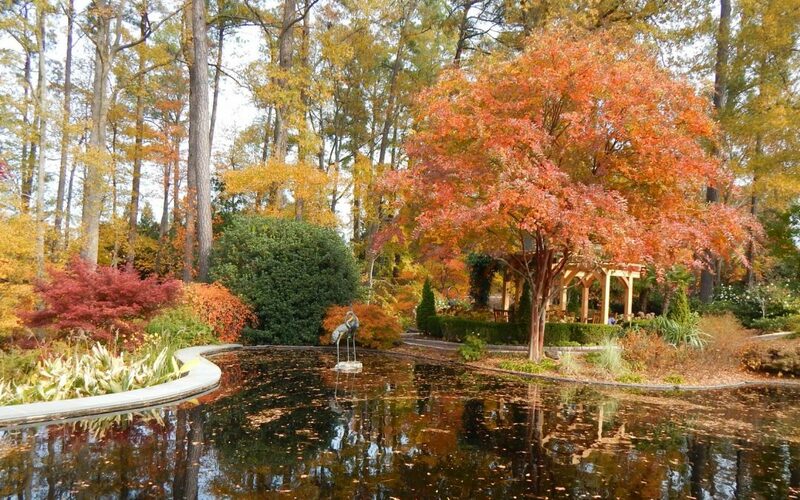 Oh yes, visiting Duke Gardens in fall is a very special treat. Our visit in late November was one of the last opportunities to take your dog through the gardens. As of January 1 the policy allowing dogs has been changed, but none the less it was great for us to get out and stretch our legs after a long car ride. 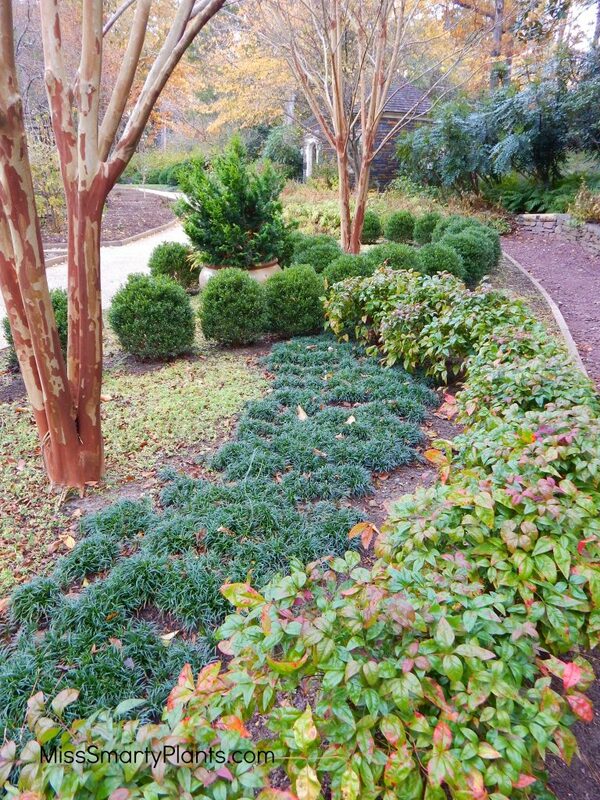 We can grow a lot of amazing plants in Florida, but of course like a girl with straight hair who wished for curls, I love to see the fall colors of the plants for northern zones. 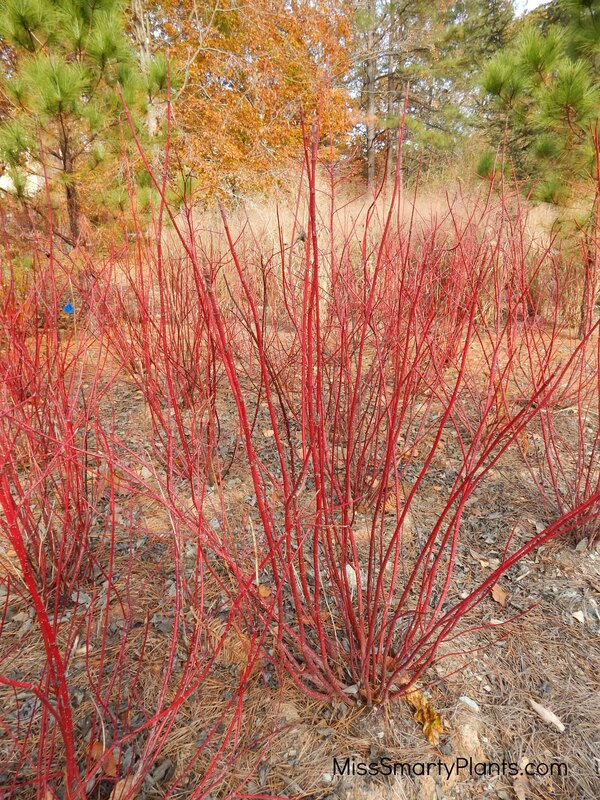 This stand of red twigged dogwood was gorgeous! I didn’t see a variety on the planting, but it was a perfect complement to the blue sky and orange hues of the surrounding landscape. 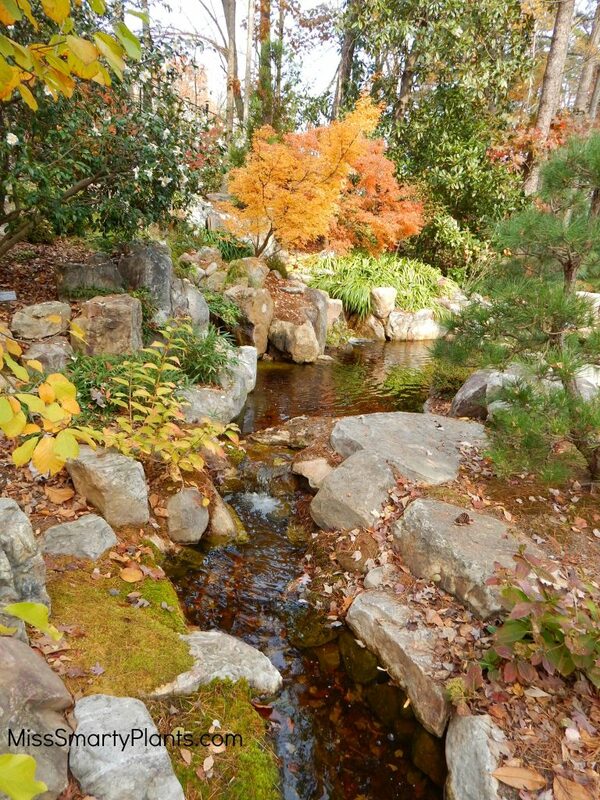 The Japanese Garden was a focal point for admiring all of the Japanese maples in their fall glory. Even without color overflowing from these pots, the entrance to Sarah P. Duke sets the stage for the rest of the visit. 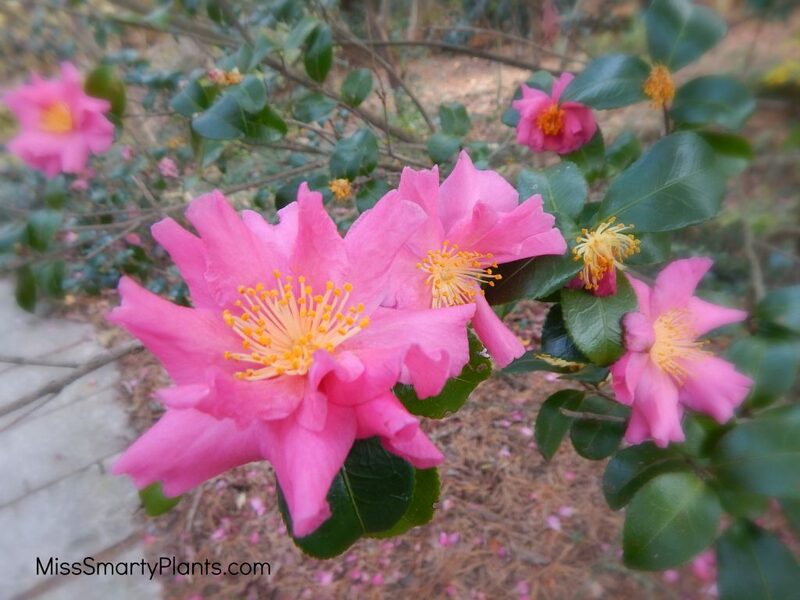 And for garden visitors that just must see flowers, I am happy to say that those visiting Duke Gardens in fall will be rewarded with camellia flowers too! These Camellia japonicas were just starting to open and were found throughout the landscape. Word are hard to find to describe this beautiful scene. 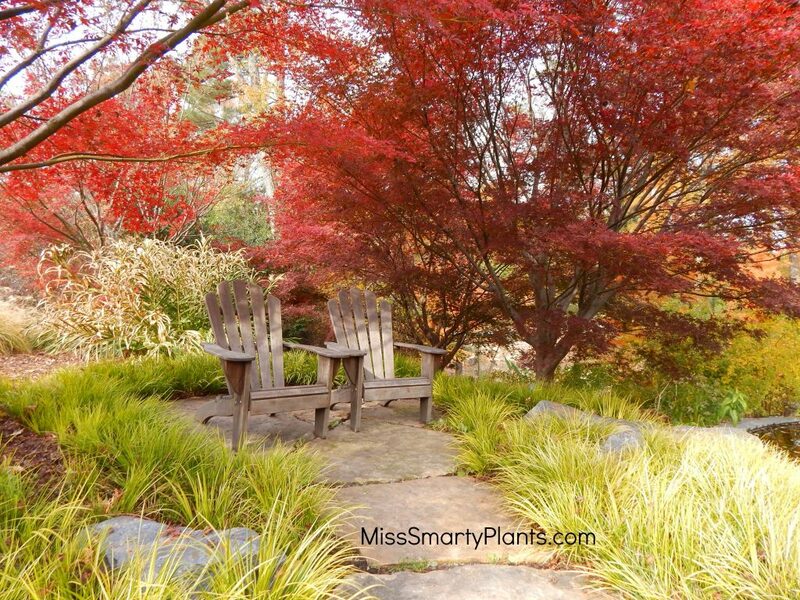 The red leaves of the Japanese maples and the chartreuse green of the carex in front make those chairs look like the most peaceful place I’ve ever seen. The center core of the gardens feature the large, dramatic historic terraces. 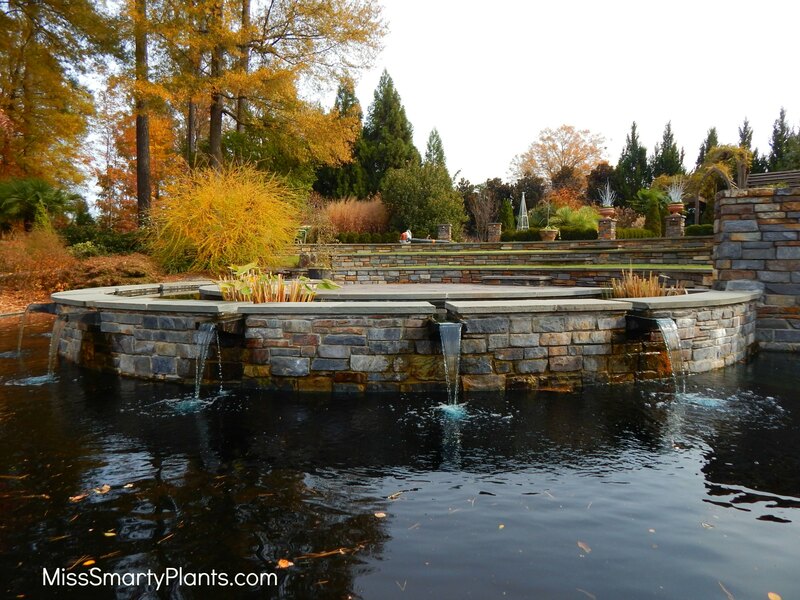 During summer these overflow with flowers, but even during the fall and winter maintain their interest through some very well chosen structural plantings. Color? Who needs flowers for color? 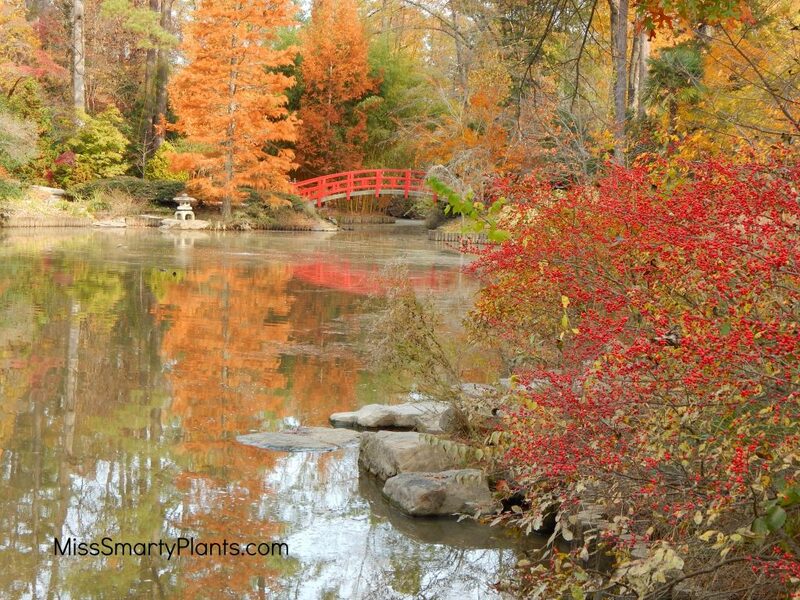 The arched bridge leading to the Japanese Garden is especially catching during the fall and winter when it catches the colors of the surrounding trees and shrubs. 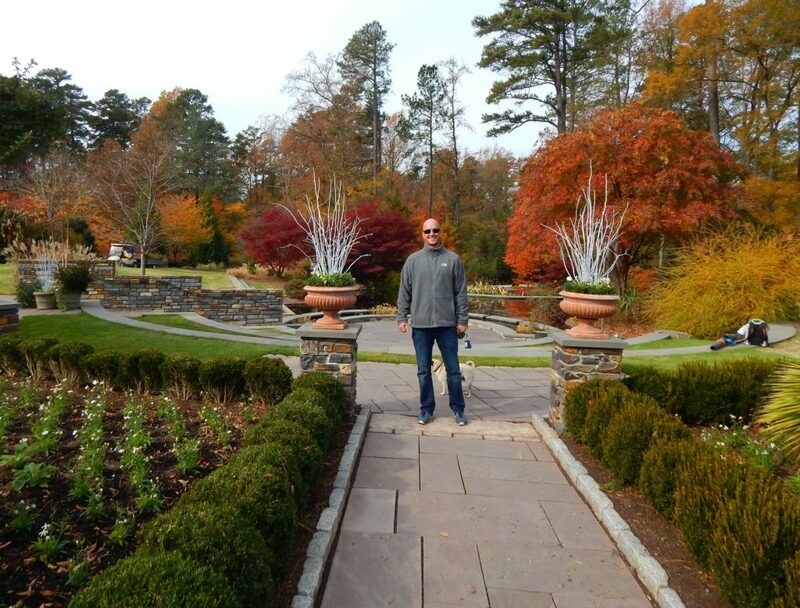 Have I convinced you that it is time to visit Duke Gardens? Any time of the year will be grand, but visiting during the fall will set these beautiful scenes in your memory forever.